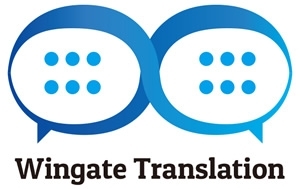 Wingate Translation is a translation company based in Gold Coast, principally providing Japanese to English translations. Andrew J.I. Taylor, chief translator and owner of Wingate Translation, has more than 10 years of experience translating Japanese to English for an extensive and diverse clientele including broadcasters and companies in various industries such as the pharmaceutical, energy, rail and air transportation, trading, motor and electronics industries. Andrew has also translated for various political parties, government ministries and agencies, as well as correspondence for various individual politicians. Please contact Wingate Translation for clear and precise English translations of quarterly and annual earnings reports, audit reports, and other financial documentation, contracts, newsletters, press releases promotional and other corporate video scripts (tailored to narration or subtitling). Wingate Translation can also provide media monitoring services, translating articles from newspapers, magazines, online news services and other media to help you keep track of how your company is pictured in the Japanese media. Andrew J.I. Taylor, was born in Bedfordshire in the UK. After graduating Nottingham University, Andrew moved to Japan in 1997. Following intensive Japanese study, he began his career as a translator of Japanese into English in 2000, working for various companies including a major Japanese electronics manufacturer, before establishing his own translation business in Japan in 2004.